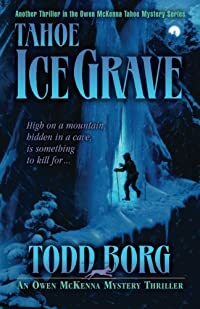 Tahoe Ice Grave by Todd Borg, a Mysterious Review. Review: Todd Borg's third Owen McKenna thriller, Tahoe Ice Grave, effectively mixes a literary mystery within a murder mystery. Borg's descriptive style of writing that communicates the cold and dark perspective conveyed by the title and his detailed depictions of the Tahoe landscape make the book better than the plot would suggest. Overall, Tahoe Ice Grave is a fine addition to the Owen McKenna mystery series. Acknowledgment: Thriller Press provided a copy of Tahoe Ice Grave for this review.